Greek taxpayers and pensioners are called upon to pay over 4.5 billion euros after the reduction of the tax-free income and pension cuts in order for the government to close bailout program review. Specifically, the lowering of the tax-free threshold for incomes will bring 1,920 billion euros in 2020 and 2,058 billion in 2021 and this is because tax credit will be reduced by 650 million euros. Pensioners will suffer losses of 2,262 billion euros in 2019, 2,358 billion in 2020 and 2,505 billion euros in 2021. Also professionals, freelancers, businessmen and farmers are called to pay higher security contributions. The General Accounting Office estimates that the above categories of taxpayers will pay additional contributions worth 53 million euros for 2018, rising to 124 million in 2019, 126 million in 2020 and 128 million euros in 2021. This is because as of January 1st 2018 contributions will be based on gross monthly income of the previous year including security contributions, in accordance with the Income Tax Code. Specifically, for 2018, the contribution is calculated at 85% of the above taxable result. 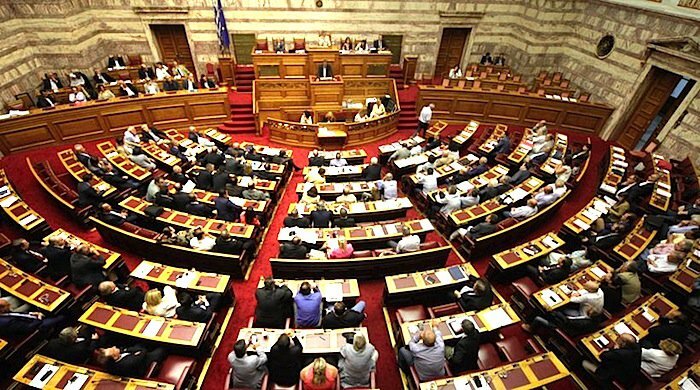 Regarding changes in labor laws, Greece will be able to reintroduce collective bargaining on the principle of more favorable regulation, starting at the end of the bailout program in August 2018. On the issue of mass layoffs, the ministerial veto is abolished along with the pre-approval by the State. Regarding the new bankruptcy code, procedures will be simplified. In addition, there are specific time limits within which the bankruptcy process for small businesses should be completed. The new simplified procedure will apply to bankruptcies that will be declared after the new law goes into effect. Another measure that the Greek government agreed to with creditors is the opening of retail stores on Sunday. The two sides decided that starting in May and through October, stores in the Municipality of Athens, the Municipality of Piraeus, the Southern Region of Athens (Aghios Dimitrios, Alimos, Glyfada, Elliniko, Argyroupoli, Kallithea, Moschato, Tavros and Nea Smyrni), the Historic Center of Thessaloniki and in the areas around the International Athens Airport, stores will be open every Sunday, except for the second Sunday of August. Creditors agreed that if the new measures are implemented and the Greek government manages to implement them and reaches the fiscal targets required by the rescue program, the countermeasures Athens proposed can go into effect. The countermeasures include reduction of the low tax rate from 22% to 20% and abolition of the solidarity levy for incomes up to 30,000 euros. From there, there is an escalation of rates, with a reduction of 2% (from the existing 6.5%) for incomes up to 40,000 euros and of 5% (from 7.5%) for incomes up to 65000 euros. Furthermore, the corporate tax rate would also be reduced from 29% to 26%. The single property tax (ENFIA) will be reduced by 30% for dues up to 700 euros, with a maximum of 70 euros. Also, 600,000 low-income Greeks will receive a housing bonus for rent. In addition, 45,000 more places in childcare stations will be established by 2020, while child support subsidies will be given. Also schools meals will be provided in all grades of compulsory education, starting in 2020. Finally, new employment programs for the unemployed will be implemented and taxpayers who make less than 1,200 per month will be fully exempt from medicine costs.